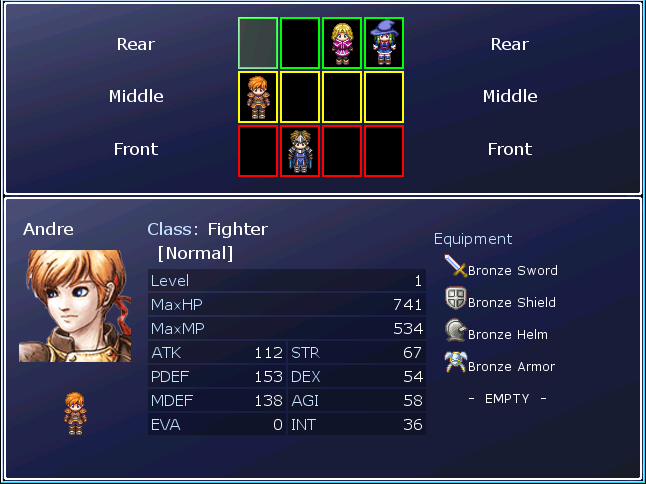 This script allows the player during gameplay to change the battle position of the player in reference to their ‘front, middle, and rear’ positions normally set in the ‘Class’ database. With this system, the position can now be changed in-game with the value from the ‘Class’ database being the default. This rewrites the ‘random_target_actor’ method in Game_Party to utilize the newer ‘position’ value instead of accessing the $data_classes database.